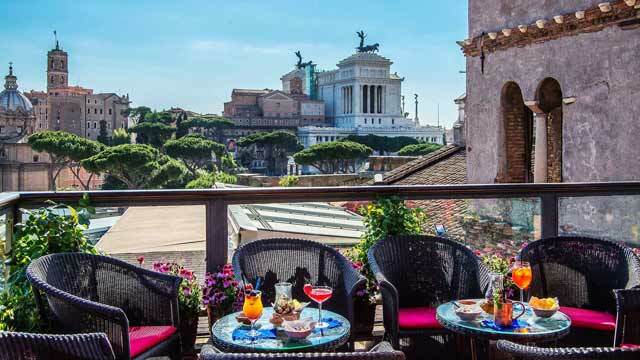 From this lush and cozy rooftop bar at Hotel Atlante Star you get a spectacular panoramic view across Rome, with the Vatican and St. Peter's Basilica as main attractions. 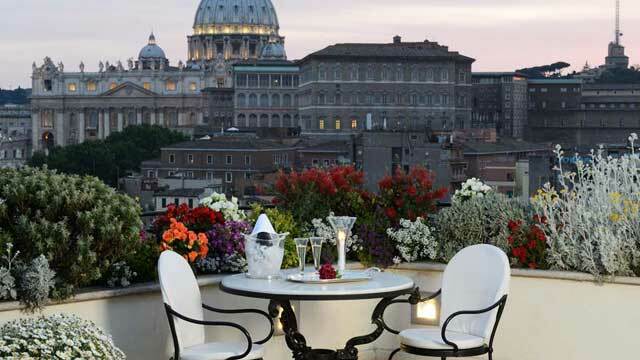 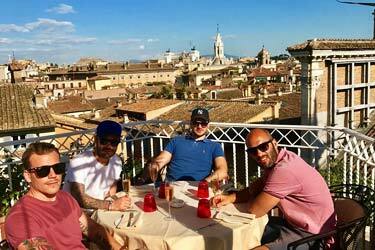 A more romantic and luxurious rooftop bar in Rome from this list, is difficult to find. 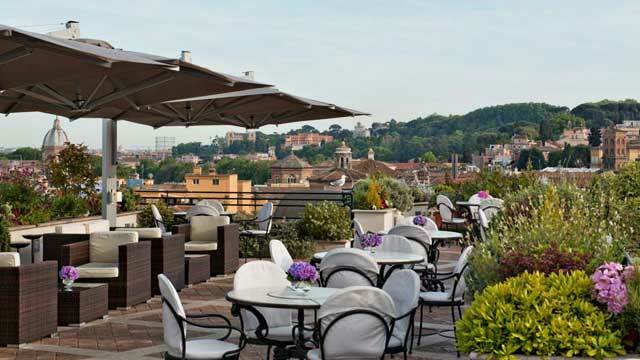 The top floor of the Hotel Atlante Star holds both an indoor, fine dining restaurant called Les Etoiles, and then there is the outdoor roof garden with the same name, working both as café and rooftop bar. 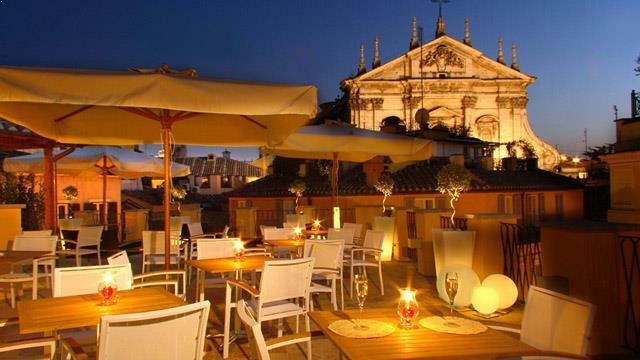 Here you can enjoy cocktails, wine and coffee all day, along with light lunch between 12.30 - 15.00 and apertif from 18.00 - 20.30. 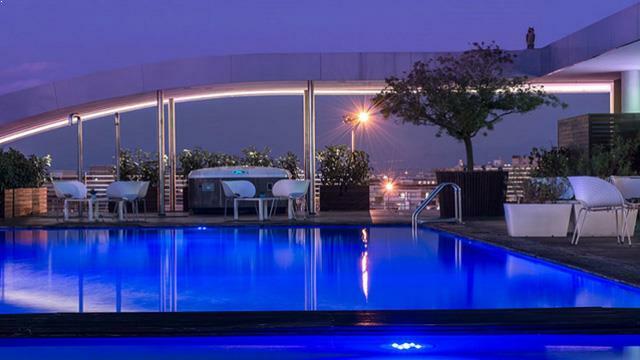 And, maybe the best thing, a wonderful rooftop brunch every Sunday. 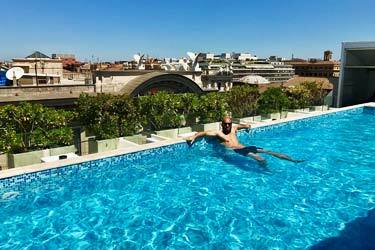 The roof terrace is equipped with comfortable sofas, a lot of vegetation and fine umbrellas. 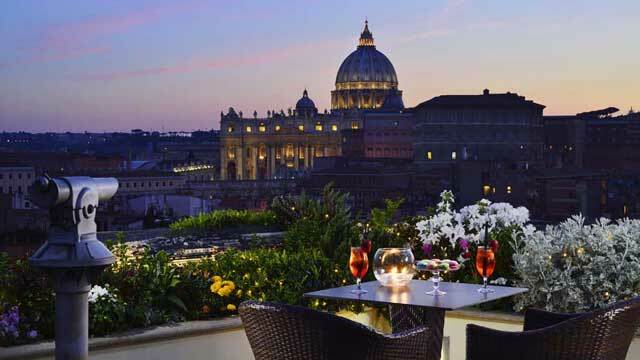 The best time to visit (apart from Sunday brunch) is at sunset, when you first get to see the eternal city in a glowing light and then you have close up views of the St. Peter's Basilica lighting up. 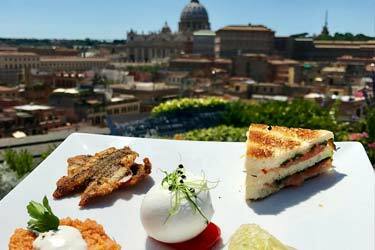 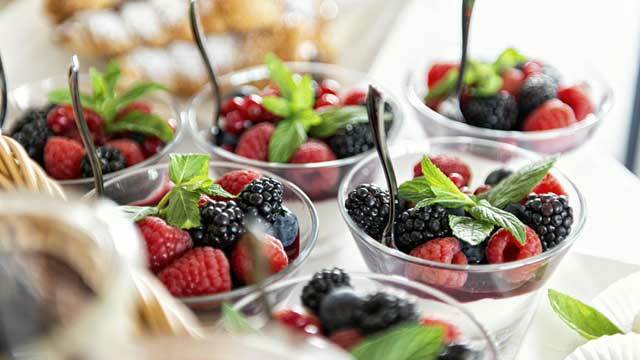 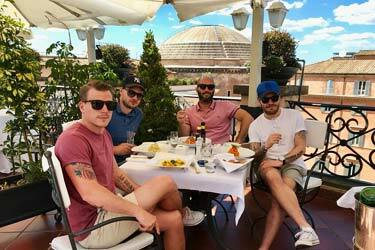 Read our review of the lovely brunch at Hotel Atlante Star with views over The Vatican. 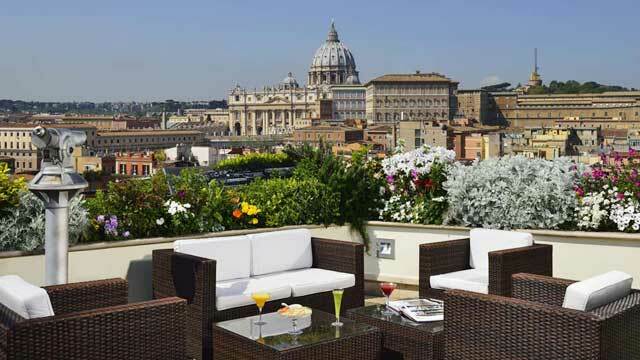 Read more about this fantastic roof terrace near the Vatican and when we drank some Aperol Spritz here to the amazing views of Rome.